People’s Committee Chairman Nguyen Duc Chung said more research is needed into the issue since a large proportion of the city’s population still relies on motorbikes for its daily commute. He told the media Tuesday: "Since there are almost six million motorbikes in the city, any restriction or ban must be researched and evaluated carefully. The plan must be agreed upon by the public." But Chung assured that any ban would only apply to streets with adequate public transport though he suggested that people should start creating a habit of walking if the distance is 1-1.5 kilometers. 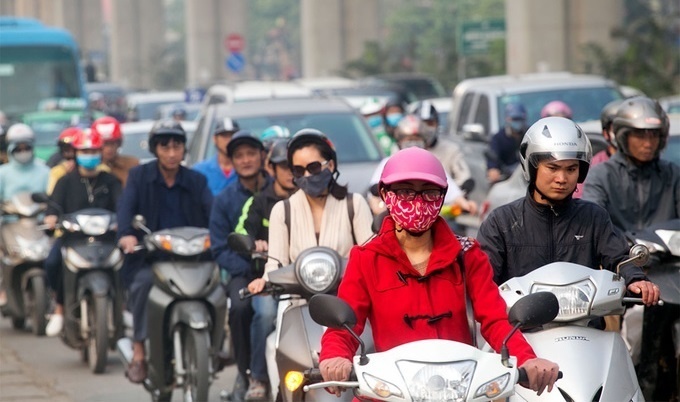 Hanoi last month revived a plan it had approved in 2017 to ban motorbikes in downtown districts by 2030 and restrict the use of all private vehicles in areas well served by public transport. It plans to limit the registration of new motorbikes in five downtown districts next year, and later trial a ban of the vehicles during rush hour on some congested streets. The Ministry of Transport has also voiced support for the ban saying the city’s traffic and emission problems need such solutions. The plan has met with opposition from transport experts, who pointed out that public transport is woefully inadequate. Hanoi, with a population of 7.5 million, has 5.6 million motorbikes and around 550,000 cars in addition to some 1.2 million bikes brought in from elsewhere, according to police figures.